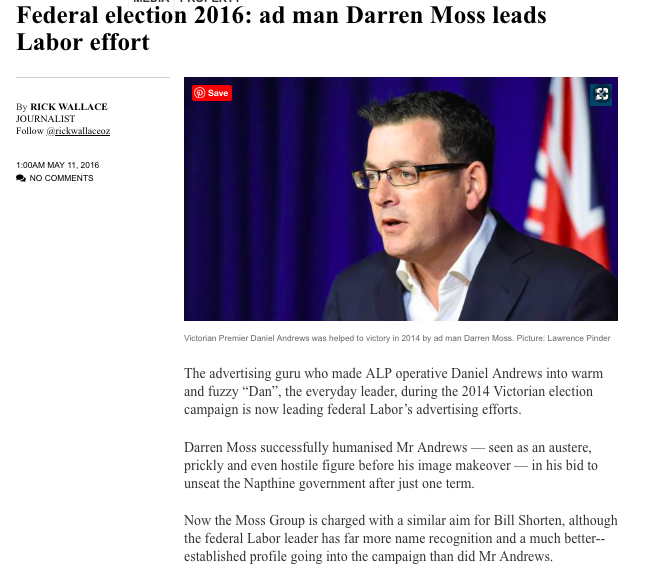 LABOR has hired the advertising agency behind the political makeover of Premier Daniel Andrews to work on Bill Shorten’s campaign. The New Ways Political Parties are Targeting You Online. 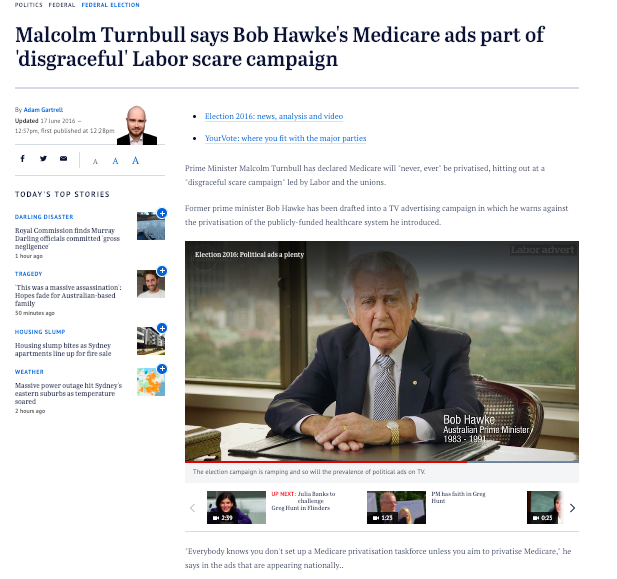 The Labor party have taken a step further opening their own social news outlet, the Labor Herald, the fruit of a three-year-old strategy led in part by the ALP’s head of digital, Skye Laris. Howcroft to advise Liberal Party on failed election campaign. 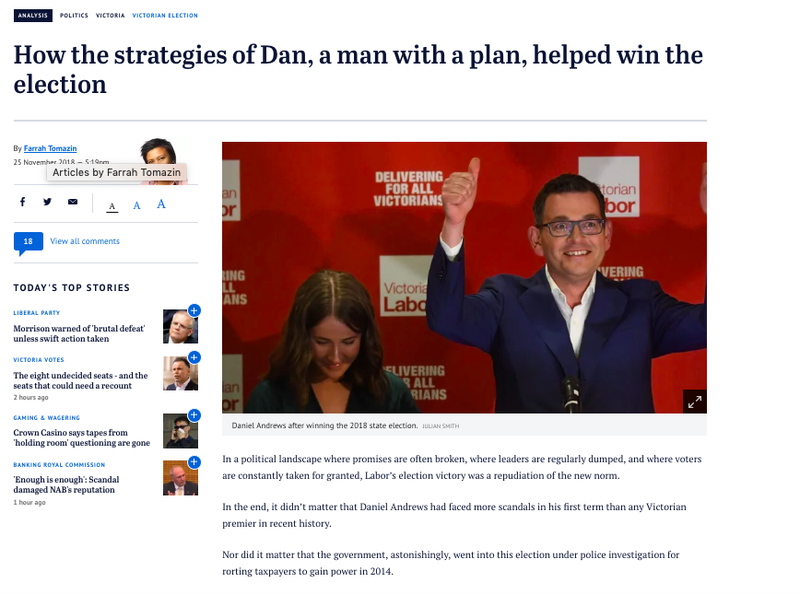 Inside story how the team behind Daniel Andrews achieved victory. Victorian election 2014: What makes Labor leader Daniel Andrews tick?